This original by Jerry Ray asks the question, "How does America look today, and how will America look tomorrow?" An original concept for a patriotic challenge, this pop/rock ballad is powerful in text and music. 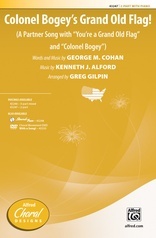 A perfect closing piece to concert programs or the focal selection for a patriotic event.